Battersea Carpet Cleaners supplies a selection of carpet cleaning services to refresh your dirty rugs and carpets. Save money and hire us today for all of your carpet and rug cleaning needs in Battersea. We cover the entire SW11 area, and will do a first class carpet clean for you. Our specialist carpet cleaners are fully trained and know how to treat stains, dirty marks and germs that can appear over time. For a fast and efficient service in SW8 hire us today. You will be impressed with us and our low rates. We use the best products and methods that are safe and cost effective. For a free consultation call 020 8396 6975 now. Why do we Stand out from the Rest Battersea Carpet Cleaners? We are a long standing company with fully qualified carpet cleaners who will do an exceptional job for you. Our low costs are affordable and will appeal to both commercial and domestic needs. You can rely on us to choose the most effective procedure that really works. We offer a wide choice of services to clean your rugs and carpets such as dry and steam cleaning and stain removal in Battersea. Nothing beats our systems; they are ecological, friendly and effective! Hire our team today on 020 8396 6975. Let us improve the state of your flooring safely and at a cost within your means. You can trust us to leave your carpets hygienically clean and looking spotless. 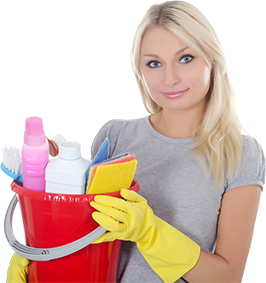 What Battersea Cleaning Services Delivered in SW11 Area Can Help you Save Money? You can rely on our Battersea carpet cleaning company to totally rejuvenate your carpets, mats and rugs all over the SW11 area. We have an assortment of carpet and rug cleaning options to help domestic and business needs. Our services are an inexpensive choice and save money on replacing your carpets. You will be amazed at how clean we can make your flooring. We use the safest techniques which will deep clean all types of carpets and rugs. From general dirt to spillages, we can deal with all of your troubles. Our experts will assess your individual needs and give you all the advice you need. We are competent and will leave you flooring in SW8 meticulously clean and germ free. We only use the safest carpet cleaning methods. For top class results, our dry and steam cleaning techniques provide outstanding results. Our steam cleaning is effective and deep cleans all types of carpets and rugs. Furthermore, it removes bacteria and germs and leaves them 100% fresh and clean. If you want a fast and efficient Battersea carpet cleaning service our dry carpet cleaning method means no more waiting for drying time. In addition, we have stain removal techniques and protective coatings that reduce the risk of a stain ruining your carpet. All of our systems are eco friendly and safe, so no harm will come to you or the world around you. If you are located in Battersea and need an office or home carpet cleaning service then hire us today. We will render a remarkable service at a cost within your means. We are professionals with years of experience in the industry and will give you the cleanest flooring in the area. All of our work is done to a high standard using quality detergents and cleaning systems. Our carpet cleaners are dedicated and will supply an excellent service. For the cleanest carpets and rugs, you can depend on us. Have confidence in us to revive your carpeted flooring, contact Battersea carpet cleaners now for more information on 020 8396 6975. Company name: Battersea Carpet Cleaners Ltd. Description: If you want your carpet to be immaculately clean, do not waste time and get in touch with our carpet cleaning company in Battersea, SW11 on 020 8396 6975. Copyright © 2015 Battersea Carpet Cleaners Ltd. All Rights Reserved.